Timelessly elegant, these 9ct gold earrings are set with shimmering cultured pearls with a diameter of 5mm. Keep it classic with a simple pair of pearl earrings. 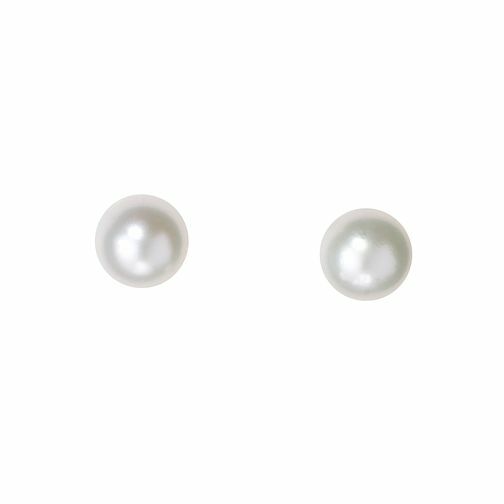 9ct Gold 5mm Cultured Freshwater Pearl Stud Earrings is rated 5.0 out of 5 by 1. Rated 5 out of 5 by abby from Wonderful Gift! Wonderful gift - a timeless piece of quality jewellery with great gift wrapping and super speedy delivery! Thank you Ernest Jones!